Jaguar Land Rover has beaten its own record to enjoy it’s best year yet in terms of sales. Total cars delivered in 2013 were 425,006, an improvement of 19% on last year – an excellent all-round performance. Predictably, the strongest area of growth in the Asia Pacific and China, with sales up a whopping 30%. But North America isn’t far behind with an improvement of 21%, followed by the UK with a rise of 14%. In 2013 the company, which employs 26,000 workers in the UK, racked up a total of 195, of which Jaguar won 80, and Land Rover taking no less than 115 gongs. The Range Rover Sport and Jaguar F-Type were debutantes in 2013, and both proved winners when it came to awards. 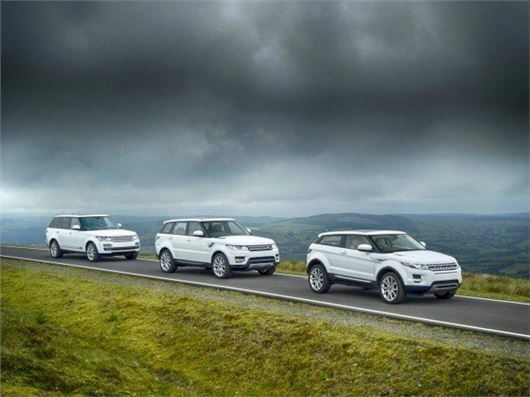 Land Rover proved to be the star of 2013 by some margin, selling a total of 348,338, and posting record deliveries for the Range Rover and Range Rover Evoque. The new Range Rover Sport, equalled its 2007 performance, but did so with a model change-over mid-year. Expect strong rises in 2014. Surprisingly, Freelander 2 also posted a 20% improvement in 2012 – expect much more from the new model, which rolls out late in 2014. Jaguar’s more modest sales of 76,668 still represented a huge rise of 42% over 2012. With the F-Type coming on stream, it’s no surprise that this was the marque’s strongest year since 2005 – and that was when the ‘volume’ X-Type was still on the books. The improvement has been down to the introduction of the F-Type roadster – the Coupe will add many more sales in 2014. But overall sales are low compared with Land Rover – and the arrival of the all-new aluminium baby Jaguar and SUV in 2015/’16 can’t come a moment too soon to drive the leaping cat towards is off-road bedfellows. Dr. Ralf Speth, Jaguar Land Rover CEO, concluded: ’2013 has proven to be a very positive year for Jaguar Land Rover thanks to continuing strong demand for vehicles across the range. Our unrelenting focus on design, technology, innovation and quality has seen Jaguar Land Rover reach global consumers in more markets than ever before thanks to its most desirable product line-up, enriched further in 2013 by the Jaguar F-Type and all-new Range Rover Sport’.